Despite the quality of the albums he produced in the 1970s, John Martyn has never received the sort of attention awarded to some of his folk contemporaries like Van Morrison, Tim Buckley, and Richard Thompson. At the time of this 1998 release by Artful (formerly Permanent), the singer's catalogue was largely in disarray, with many important titles out of print or available to U.S. fans only as expensive imports. Though Island Records had taken an important step in releasing the two-disc overview Sweet Mysteries (1995), Martyn's music was always best heard in its original album context. 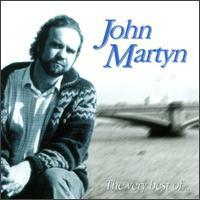 Rather than draw from the original sources, however, The Very Best of John Martyn delivers re-cuts the singer recorded in the early '90s, many of which had already been released on the authorized collection No Little Boy. Reworking his back catalogue with a series of slick productions was never going to be a good idea. The results lose the earthy jazz, blues, and folk elements that once rooted his song craft. Instead, Tim Tullio's production style (dominated by airy synths, feathery horns, and antiseptic drums) roots the music in late '80s adult pop/rock, a sound far less enduring. There are occasional glimpses of the magic quality of Martyn's vintage recordings when the singer is found temporarily drifting with the music, but these moments are few and far between. At best, the new versions recall Van Morrison's updates of his own work on Live at the Grand Opera House Belfast, a document of his Beautiful Visions/A Sense of Wonder band in concert. Though competent, even the finest moments on The Very Best of John Martyn fail to shed new light on material from Bless the Weather, Solid Air, and One World. Some copies were mispressed with two versions of Ways To Cry, Solid Air and Fine Lines, omitting Over The Hill, Angeline and Never Let Me Go. One of the versions of Ways To Cry (mispressed track #8) has a different vocal from the versions of Couldn't Love You More and No Little Boy. Phil Collins has been dropped from the mix entirely.